Contains a wide range of key vitamins, amino acids and trace elements together with a probiotic for maintaining overall health and vitality in poultry. 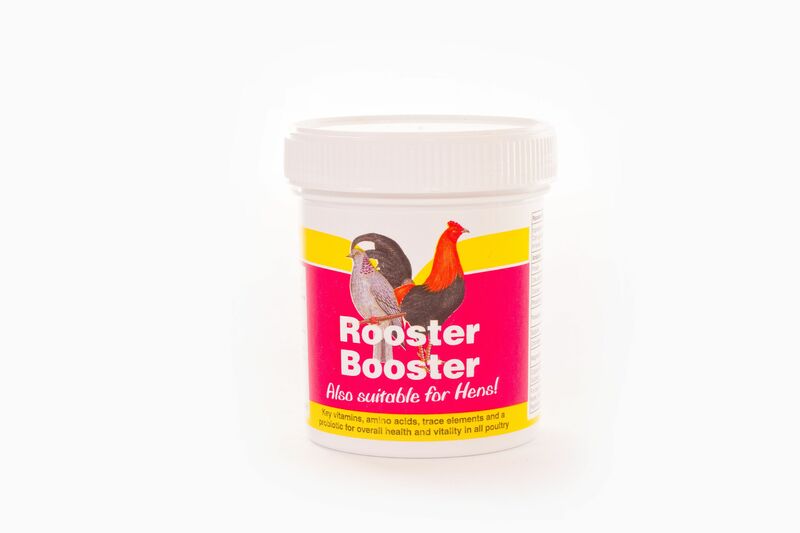 Rooster Booster will be beneficial all year round but is particularly useful during the stressful and nutritionally demanding time of moulting and for maintaining condition during the cold winter months. The probiotic will benefit birds with digestive upsets and those recovering from a worm burden. There are currently no questions for Battles Rooster Booster - be the first to ask one!